Directed by Denis Villeneuve. 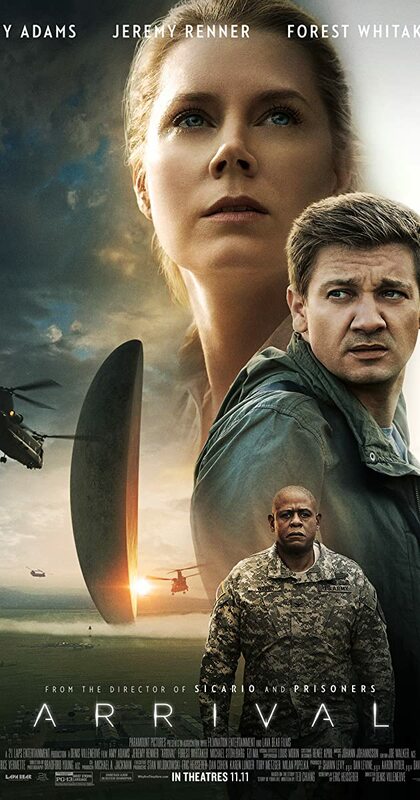 With Amy Adams, Jeremy Renner, Forest Whitaker, Michael Stuhlbarg. A linguist works with the military to communicate with alien lifeforms after twelve mysterious spacecraft appear around the world.